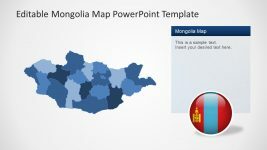 The Capital City of Mongolia PPT is a country map slide which highlights the single province with flag on pole clipart. 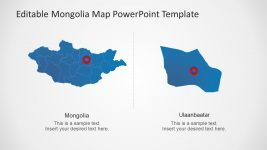 The template has note design of direction to show the capital city of Mongolia on map. 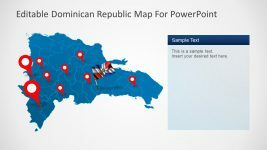 This act as location pointer, whereas, the placeholder displays the name of city and description bar to add textual content. 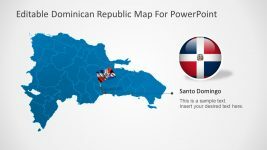 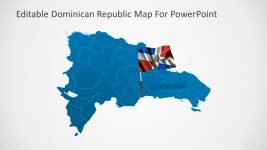 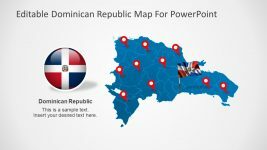 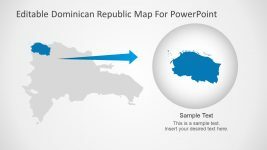 The editable map PowerPoint contain two flag designs, a pole and button shape clip art. 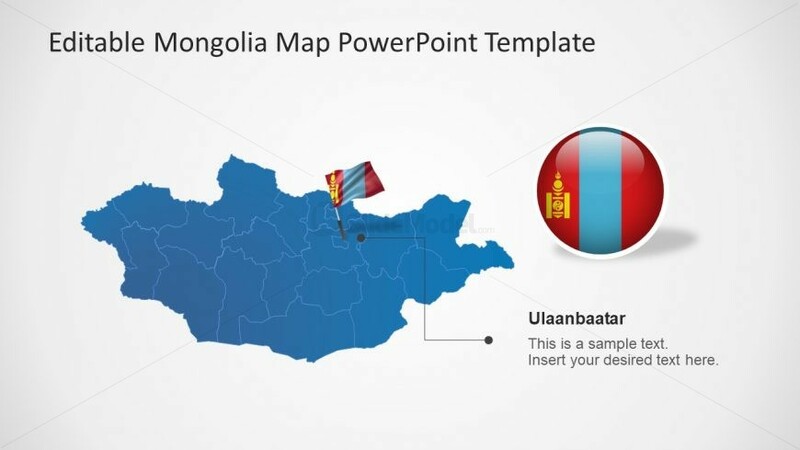 These PowerPoint shapes assist in representing Mongolia in various presentations using the flag icons. 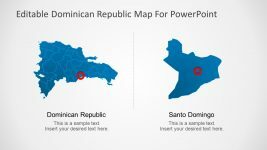 The editable slide is usable in other presentations my simple copy paste.